El Salvador is a country located in Central America between Guatemala and Honduras. 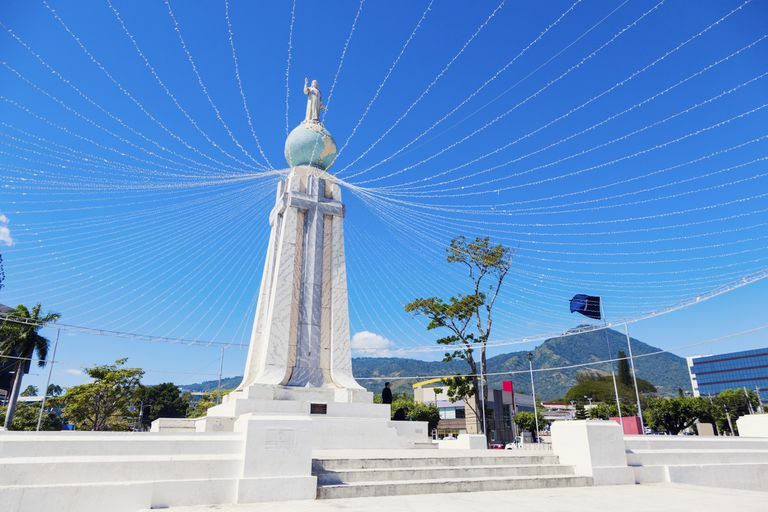 Its capital and largest city is San Salvador and the country is known as being the smallest but most densely populated country in Central America. The population density of El Salvador is 747 people per square mile or 288.5 people per square kilometer. It is believed that the Pipil Indians were the first people to inhabit what is present-day El Salvador. These people were descendents of the Aztec, Pocomames, and Lencas. The first Europeans to visit El Salvador were the Spanish. On May 31, 1522 the Spanish Admiral Andres Nino and his expedition landed on Meanguera Island, a territory of El Salvador located in the Gulf of Fonseca (U.S. Department of State). Two years later in 1524 Spain's Captain Pedro de Alvarado started a war to conquer Cuscatlán and in 1525 he conquered El Salvador and formed the village of San Salvador. Following its conquer by Spain, El Salvador grew considerably. By 1810 however, the citizens of El Salvador began to push for independence. On September 15, 1821, El Salvador and the other Spanish provinces in Central America declared their independence from Spain. In 1822 many of these provinces joined with Mexico and although El Salvador initially pushed for independence among Central America's countries it joined the United Provinces of Central America in 1823. In 1840, however, the United Provinces of Central America dissolved and El Salvador became fully independent. After becoming independent, El Salvador was plagued by political and social unrest as well as many frequent revolutions. In 1900, some peace and stability was achieved and lasted until 1930. Beginning in 1931, El Salvador became ruled by a number of different military dictatorships which lasted until 1979. During the 1970s, the country was marred by severe political, social and economic problems. As a result of its many problems a coup d'état or government overthrow occurred in October 1979 and a civil war followed from 1980 to 1992. In January 1992 a series of peace agreements ended the war which killed over 75,000 people. Today El Salvador is considered a republic and its capital city is San Salvador. The executive branch of the country's government consists of a chief of state and a head of government, both of whom are the country's president. El Salvador's legislative branch is made up of a unicameral Legislative Assembly, while its judicial branch consists of a Supreme Court. El Salvador is divided into 14 departments for local administration. El Salvador currently has one of the largest economies in Central America and in 2001 it adopted the United States' dollar as its official national currency. The main industries in the country are food processing, beverage manufacturing, petroleum, chemicals, fertilizer, textiles, furniture and light metals. Agriculture also plays a role in the economy of El Salvador and the main products of that industry are coffee, sugar, corn, rice, beans, oilseed, cotton, sorghum, beef and dairy products. With an area of just 8,124 square miles (21,041 sq km), El Salvador is the smallest country in Central America. It has 191 miles (307 km) of coastline along the Pacific Ocean and the Gulf of Fonseca and it is situated between Honduras and Guatemala (map). The topography of El Salvador consists mainly of mountains, but the country does have a narrow, relatively flat coastal belt and a central plateau. The highest point in El Salvador is Cerro el Pital at 8,956 feet (2,730 m) and it is located in the northern part of the country on the border with Honduras. Because El Salvador is located not far from the equator, its climate is tropical in nearly all areas except for its higher elevations where the climate is considered more temperate. The country also has a rainy season that lasts from May to October and a dry season that lasts from November to April. 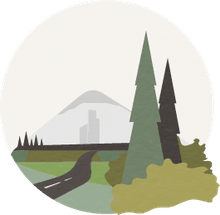 San Salvador, which is located in central El Salvador at an elevation of 1,837 feet (560 m), has an average yearly temperature of 86.2˚F (30.1˚C). A War Caused by a Football Game?